Are you already opening the training cylinder without any problems? Very good! You can simply change the combination. 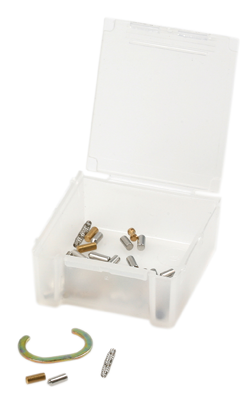 By changing and exchanging pins/pin sets within the cylinder you can create an infinite amount of new combinations and, thus, new challenges. This will also give you the opportunity to learn the professional extraction and insertion of pins. Also ideal for enterprises with apprentices.